We use screens almost continuously at work and at home. We also spend a lot of time looking down at phones or tablets. This means we also hold static, tense and awkward postures for long periods. It’s not surprising we get headaches using computers, especially tension headaches. So it’s time to take some action! 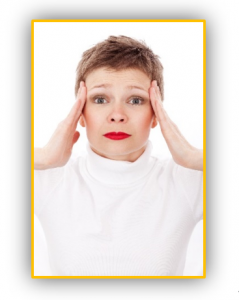 This short post outlines common causes of headaches and the easy changes that will make a big difference. Take action to help prevent those dull aches that reduce focus and affect your mood, too those painful migraines that prevent you from working. As we work with screens, especially if holding an awkward posture, tension builds up in our neck and shoulders leading to muscle fatigue. Slowly that fatigue builds into discomfort, then pain and if we still don’t take action, an injury. It’s not surprising we get headaches using computers. The centre of your screen should be about 17.5° below eye height. This is about shoulder height. Simply point to your screen with an arm parallel to the desk. Your fingers are now about 17.5° below eye level! Try reducing the brightness of your screens to 50%. ALWAYS check your work posture. Regularly releasing upper body tightness and moving back into a relaxed neutral This is a vital modern self-care skill. As we work, we build up tension in our neck and shoulders, leading to neck pain, tension headaches and upper back pain. Simply by doing this one simple action regularly, you can significantly reduce headaches and upper body discomfort – EASY! 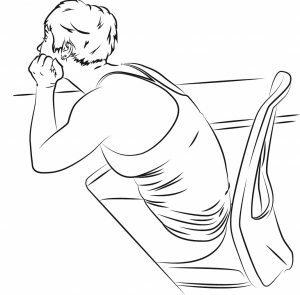 Do this anytime you start a headache using computers or find yourself leaning forward, to one side, working with tense shoulders or any time you feel tension or pain in your upper body. 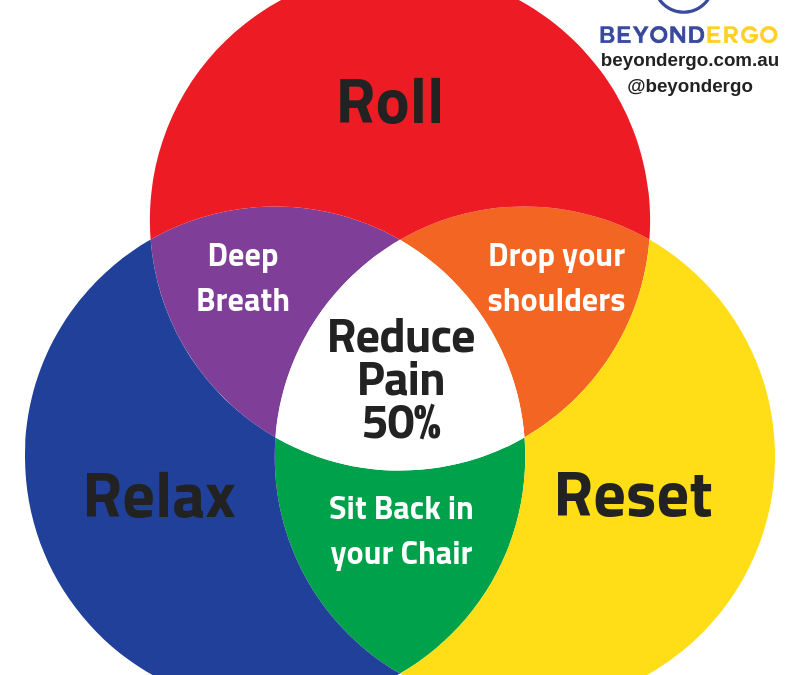 Try these simple adjustments and behaviours to gain relief. There is a range of new health and wellness self-care skills needed for our modern screen-based work environment. Look out for our free tip sheets covering easy no-cost changes. 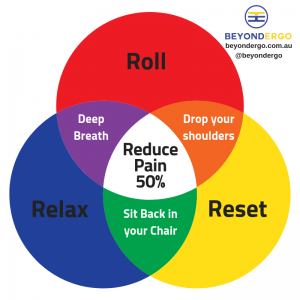 Changes that will help you and your team build skills that go beyond ergonomics to reduce pain and the chance of injury in our unique 21st Century work environments.